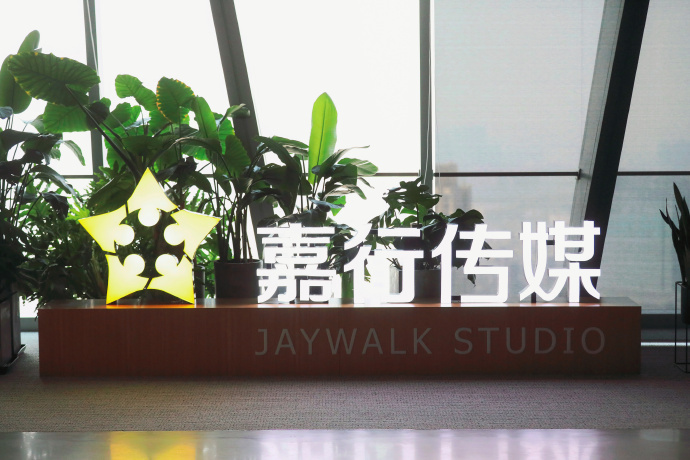 Jaywalk Studio which is home to artists like Dilraba Dilmurat and Vin Zhang has officially debunked rumors that it had a falling out with Yang Mi who is not only their biggest talent but one of the stockholders of the company. 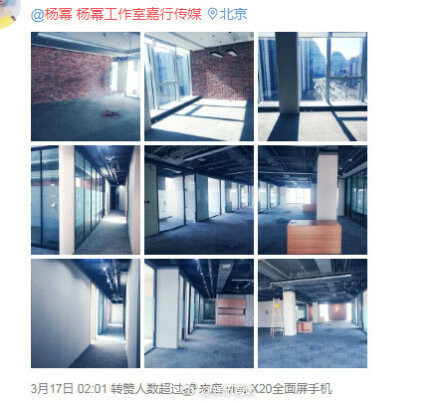 The rumors started when a netizen uploaded photos of an empty office space which Jaywalk Studio once occupied, leading to speculations of internal strife that led to Yang Mi completely vacating the office. According to the rumors, Yang Mi was unhappy that she had to bring up another crop of artists under Jaywalk Newjoy when she personally preferred to make a movie and wouldn't mind waiting for the right opportunity to make that happen. That's supposedly where the disagreement began which led to her leaving the company. On March 18, Jaywalk Studio has explained the reason why the office was deserted. Apparently, they moved last November in order to create a more healthy working environment for their employees and artists. They even shared a picture of their new place. It's as simple as that! Yes she is. The studio you mean is having her very own solo Weibo page updating all her activities. isn't yangmi also the co-founder with 2 other people ? she invested into the company back when the company was founded.